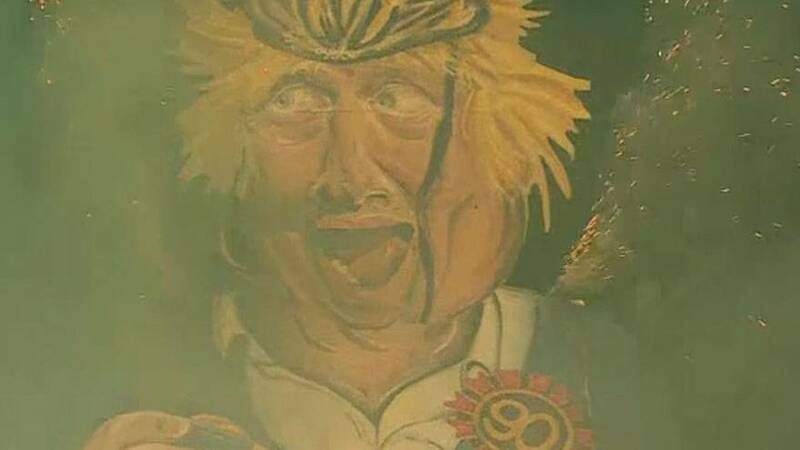 A giant effigy of Boris Johnson has been set alight during bonfire night celebrations on Saturday in Kent, England. The town of Edenbridge traditionally burns an effigy of a notorious figure on Guy Fawkes night. 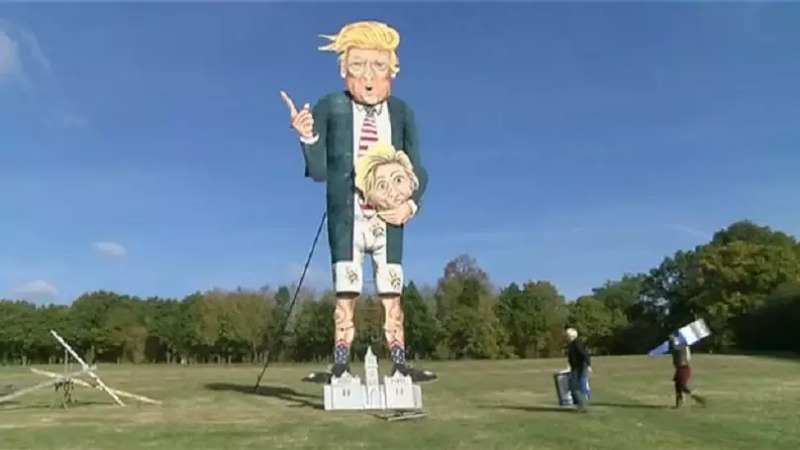 The Bonfire Society in Kent described the former foreign secretary as the top choice for their celebrity effigy this year. 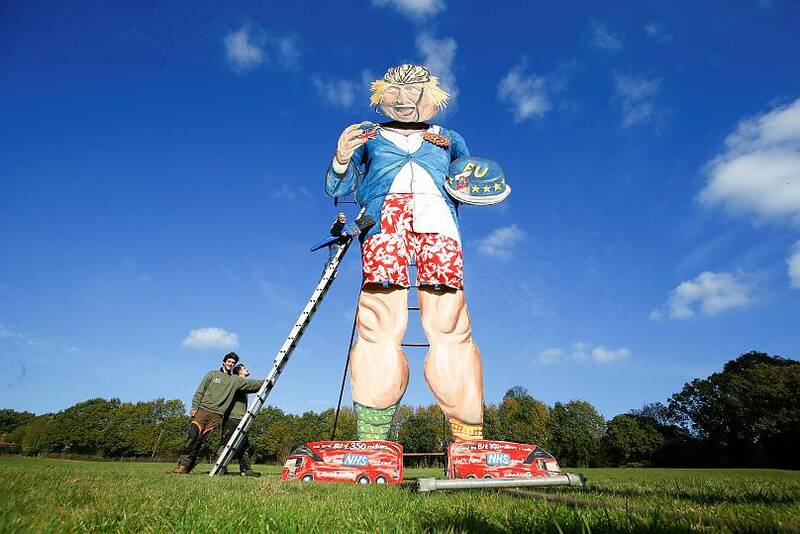 The 11-metre replica of the MP was depicted holding a cake decorated in the style of the European Union flag, from which he has taken a Union Jack-branded slice. By his feet are red Brexit buses which he claimed Britain sent £350 million (€390 million) a week to the EU which could be used to fund the NHS. Guy Fawkes Night is annually held on November 5. It is sometimes known as Bonfire Night and marks the anniversary of the discovery of a plot organised by Catholic conspirators to blow up the Houses of Parliament in London in 1605. Bonfire societies in the UK are known for burning effigies of high-profile, political figures during their celebrations which include torch-lit processions and fireworks displays.